Start the year with a big bang. 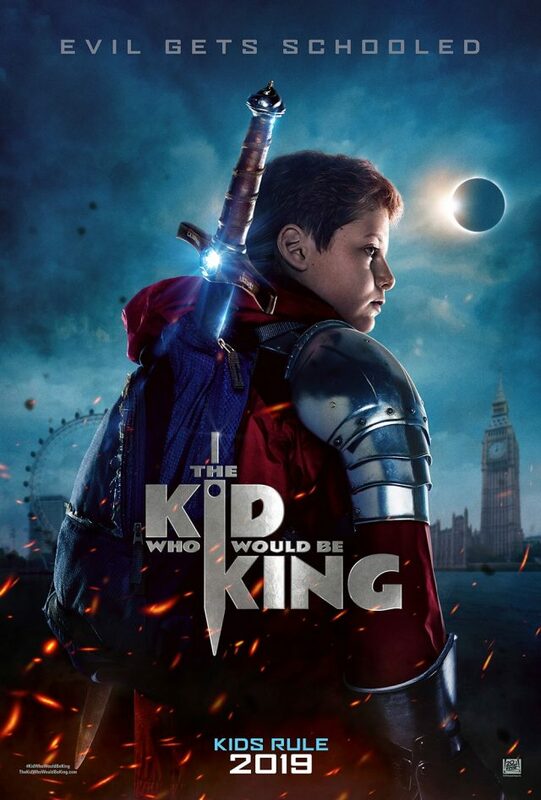 With a release date set on January 25, The Kid Who Would Be King is a masterpiece of sci-fi movie director Joe Cornish. The film will bring out the child in each one of us as it puts an interesting twist to the legendary story of King Arthur. As it happens, the plot revolves around a 12-year-old boy who is set to stop the villain Morgana. Did you miss Hiccup? Well, the long wait is over as the animated movie How to Train Your Dragon returns with a sequel on February 22. This time around we can see Hiccup with his dragon friend Toothless leading the village. Let’s watch Hiccup and Toothless as they explore a hidden world to save their community from a grave threat. Especially produced by Paramount films, Wonder Park will open in theaters on March 15. Toddlers and young school children can surely relate to this animated film as its story revolves around June who dreams a lot of being in a big, colorful and enchanting amusement park. The interesting part of the film happens when the grown up June finally finds the park that she has been dreaming of for a long time and fights the evil forces that are threatening her happy place. Let’s welcome April and celebrate Earth Day with Disney’s new film Disneynature Penguins. Set to release on April 17, this documentary movie will definitely get our kids psyched as it brings Happy Feet to life. Meanwhile, if your kids are not into documentary films, then you can always check out the Yeti looking Mr. Link in the comedy animation Missing Link starting April 12. Pika, pika, Our cute little Pokemon friend is here to save the day. Based on the famous computer game, Pokemon Detective Pikachu will stir up our emotions starting May 10 as this yellow fluffy Pokemon fighter Pikachu plays Sherlock Holmes in the movie. Targeting both parents and kids, Disney will launch the remake version of The Lion King on July 19. Directed by Jon Favreau, The Lion King will definitely create a commotion in theaters for its outstanding voice cast led by Donald Glover as Simba and Beyonce Knowles as Nala. Other popular talents participating in this film are Seth Rogen, Alfre Woodard and John Oliver.